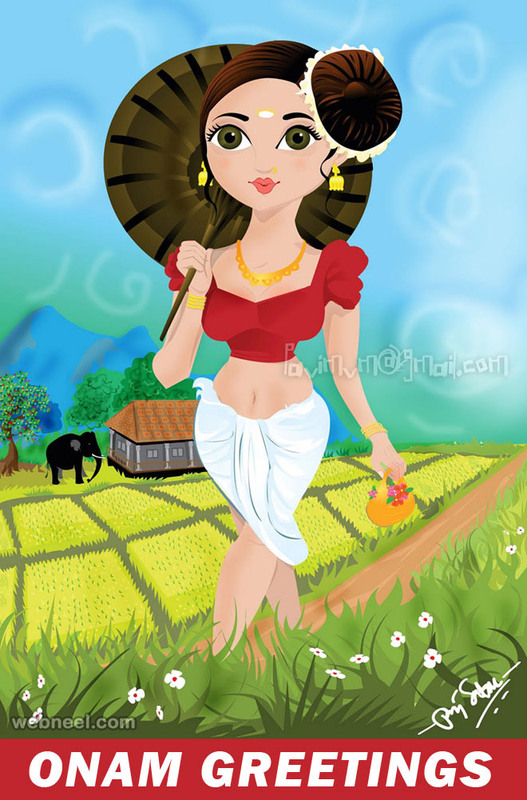 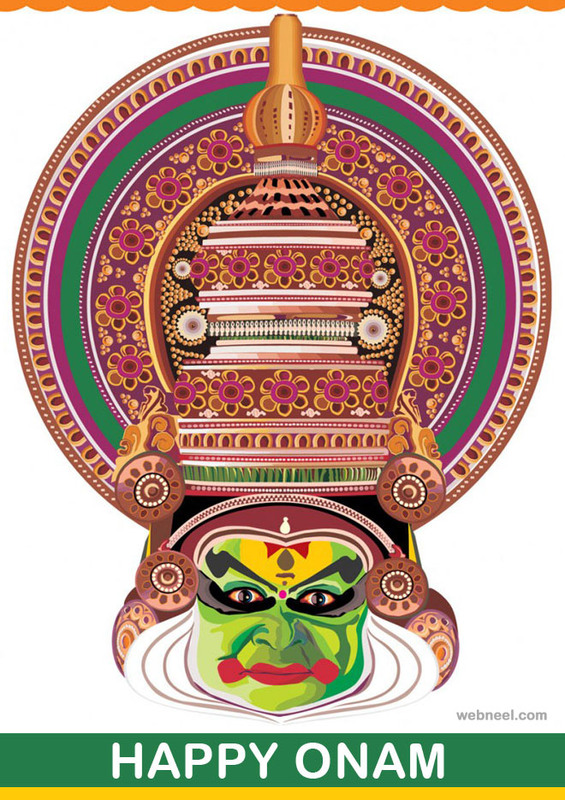 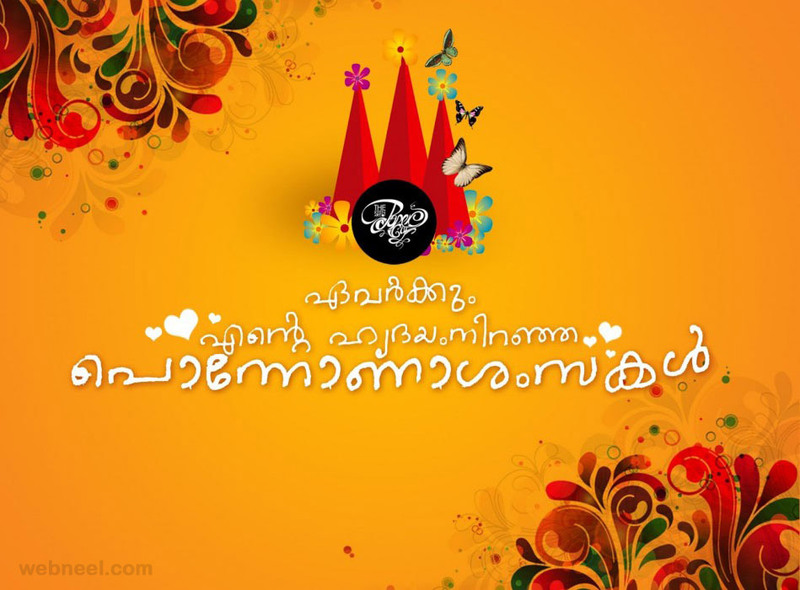 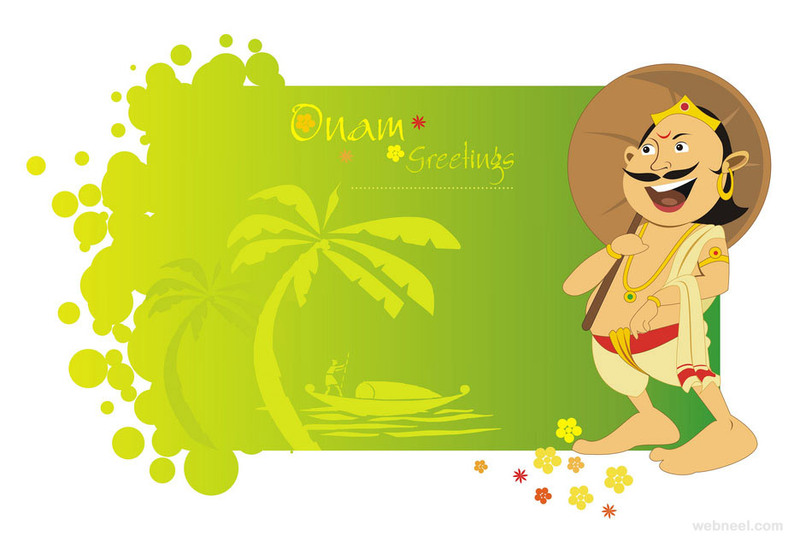 In this post you will be able to see beautiful onam greeting card designs. 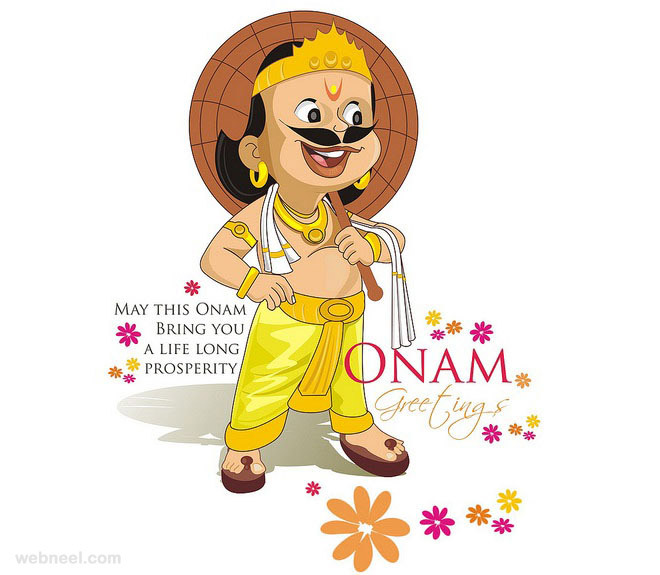 In 2018, first day of Onam is celebrated on Friday 24 August 2018, Thiruvonam is Saturday 25 August 2018 and Third day of Onam is August 26th. 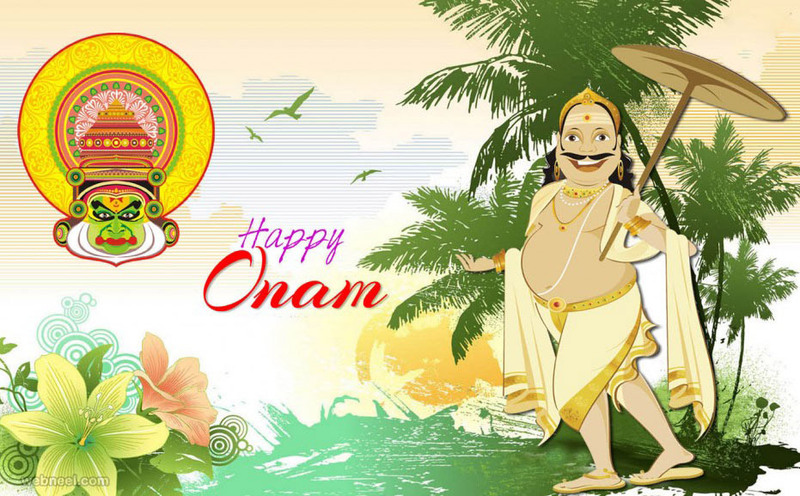 Onam is a beautiful festival of flowers and great food. 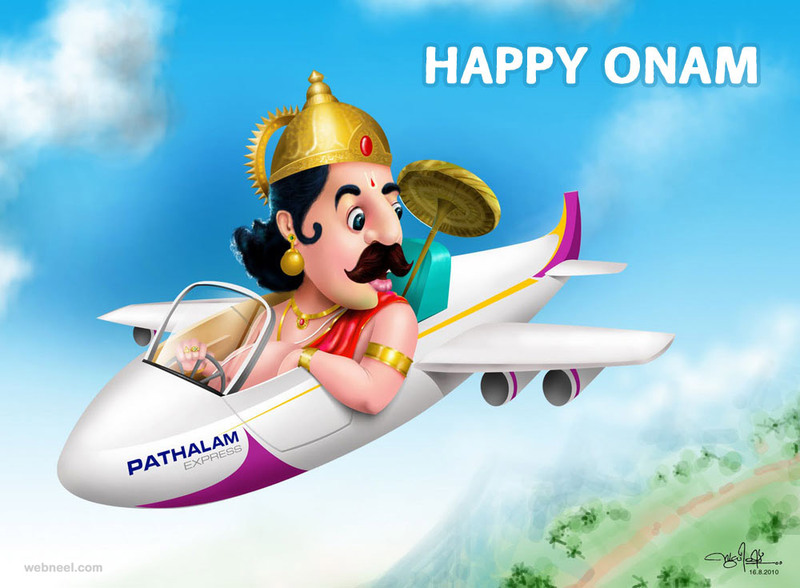 It is celebrated with great pomp and show to invite the great mythical king Mahabali. 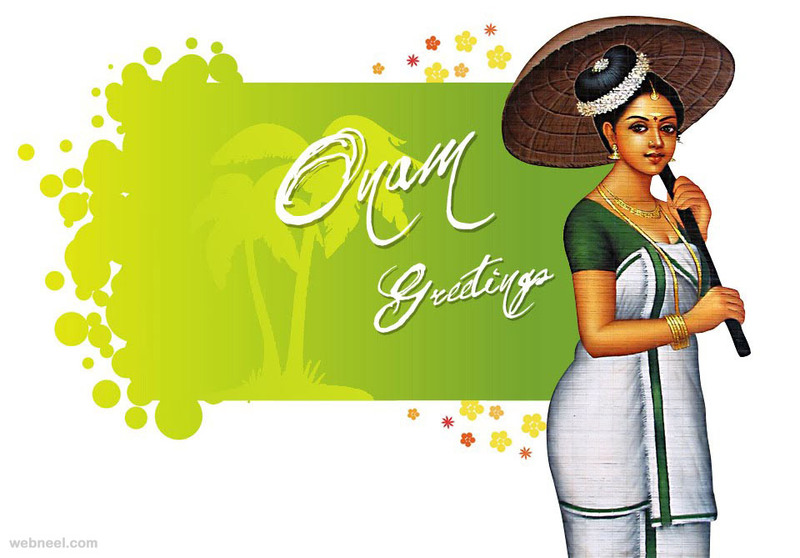 Onam greetings are shared with all malayalis during the chingam masam. 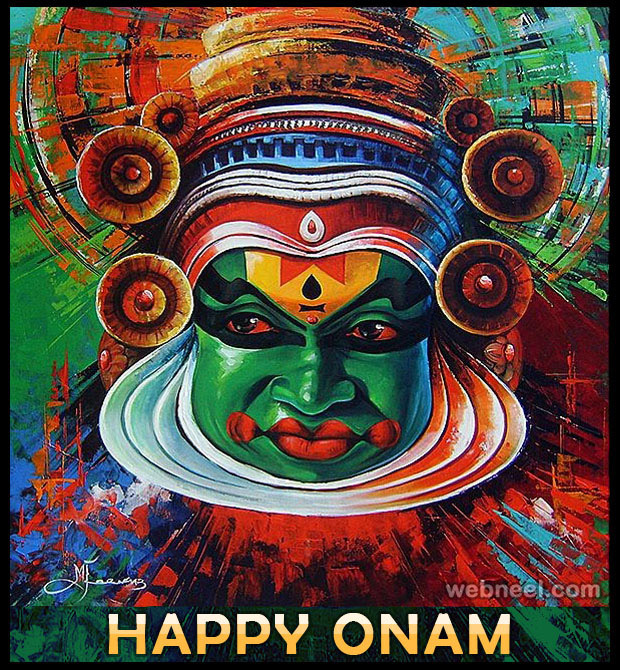 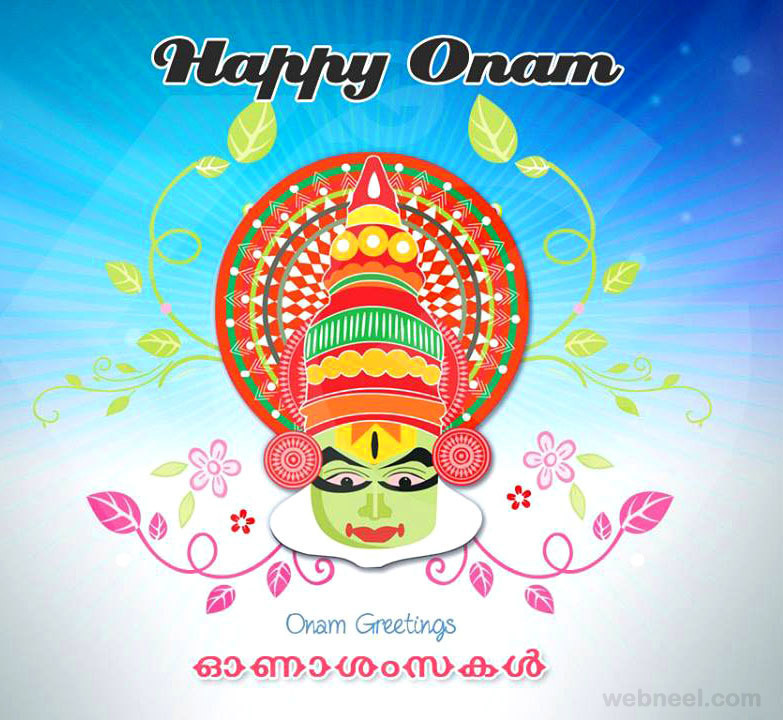 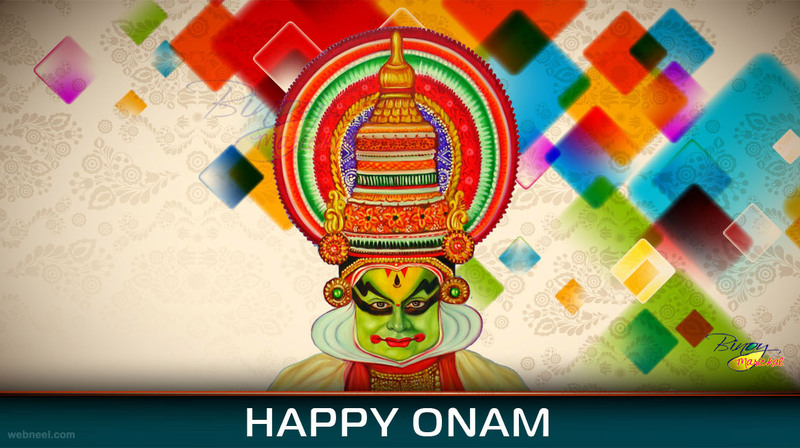 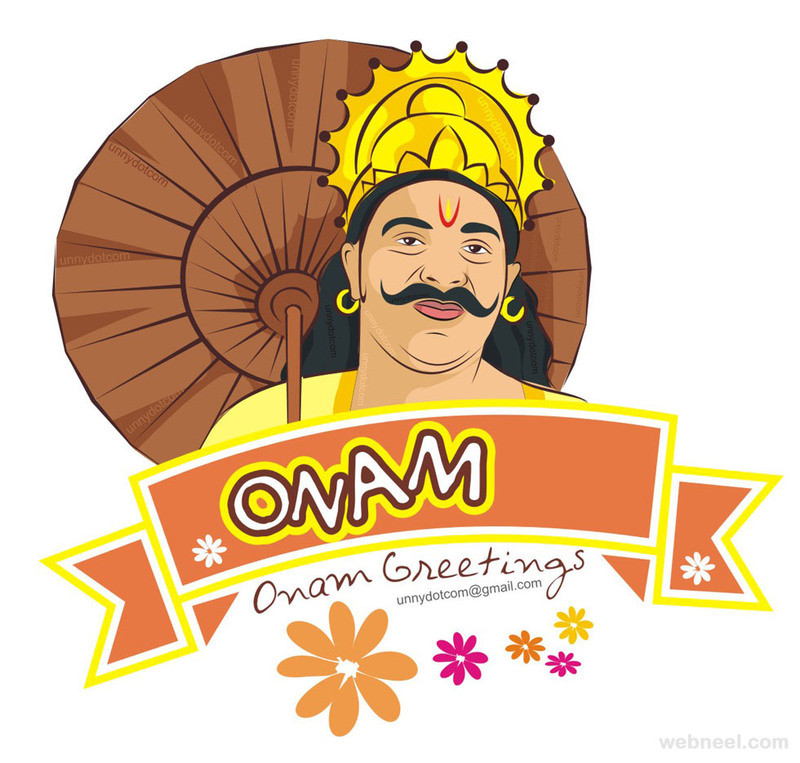 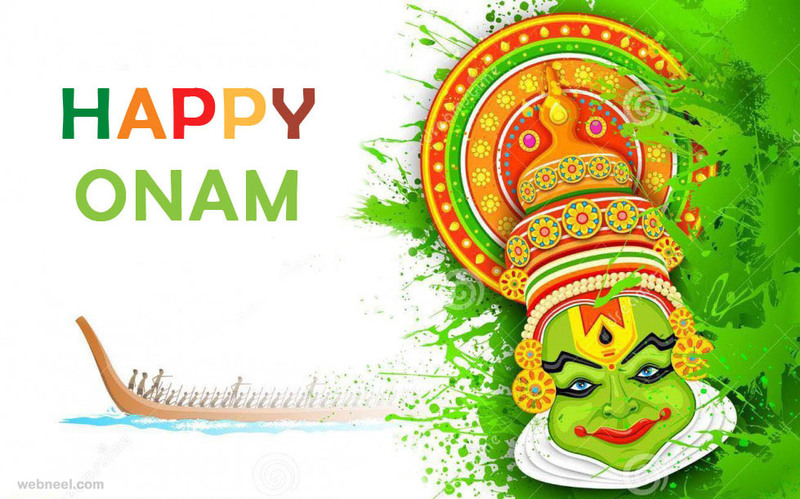 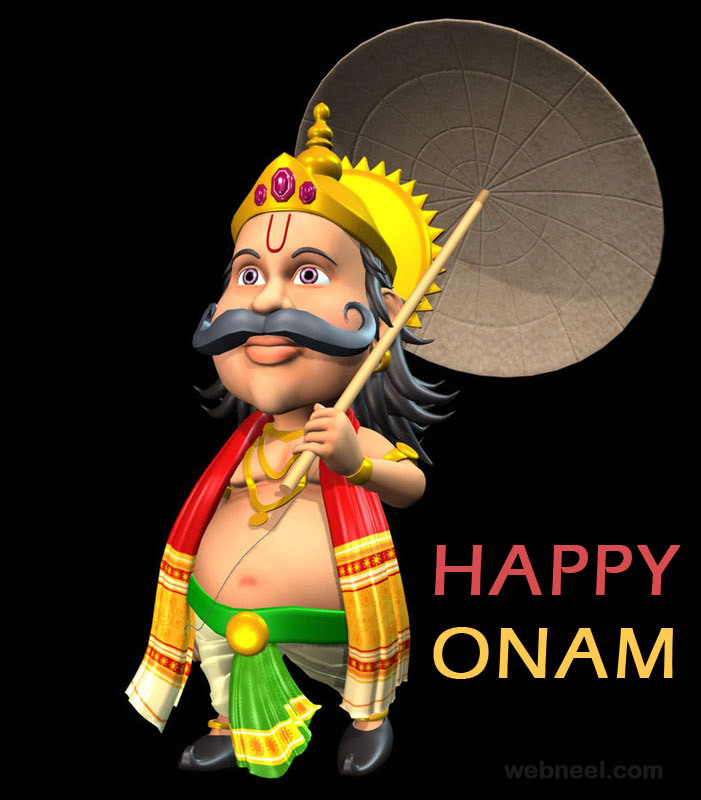 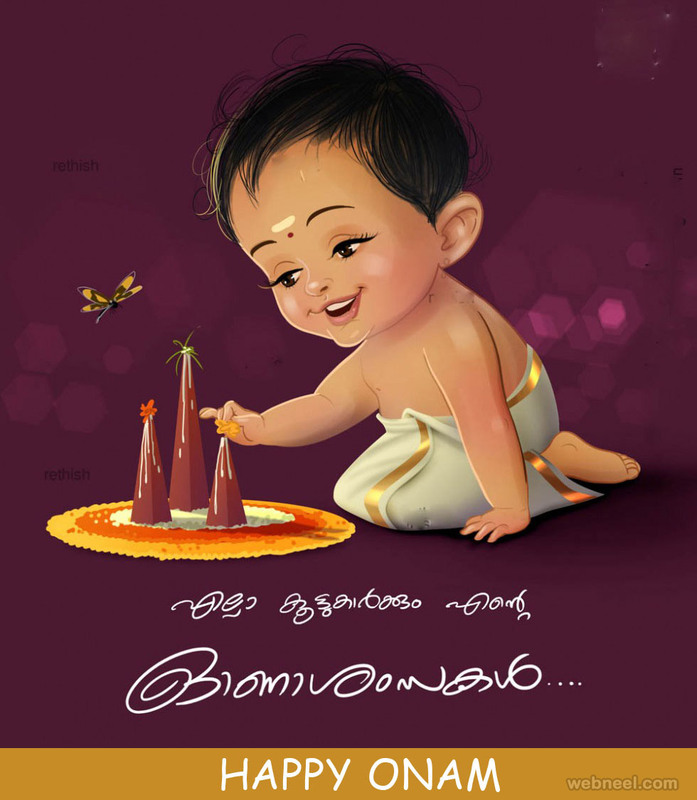 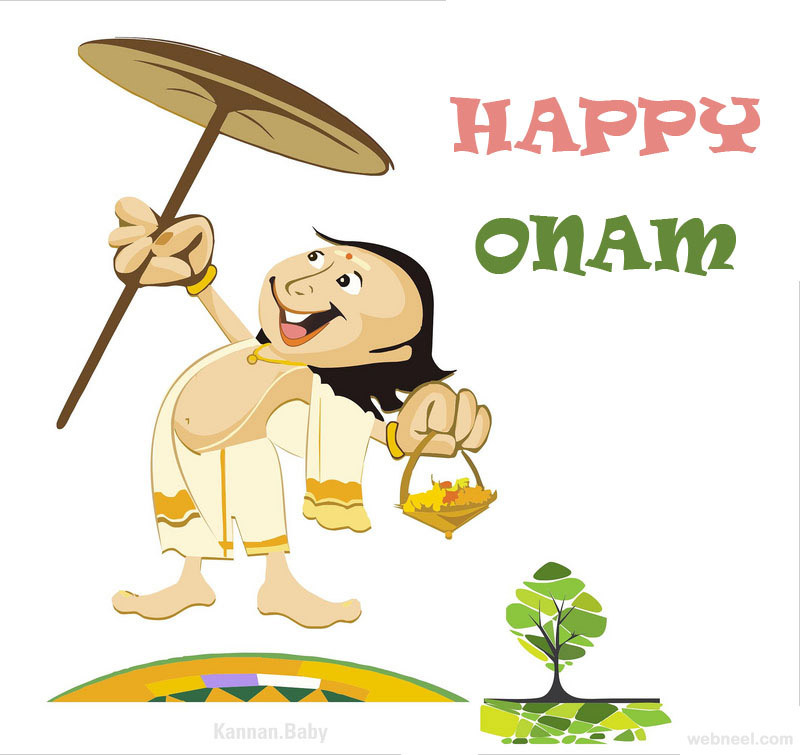 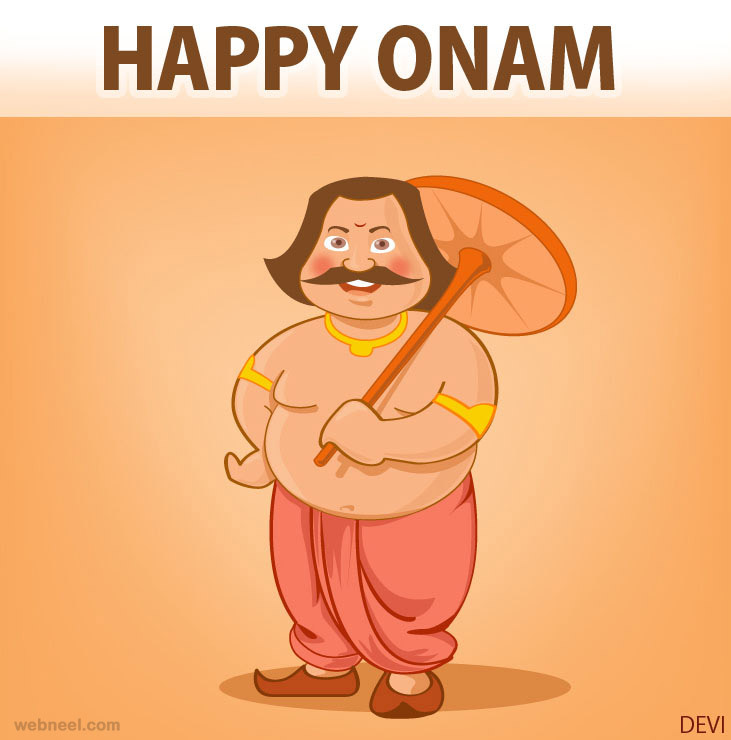 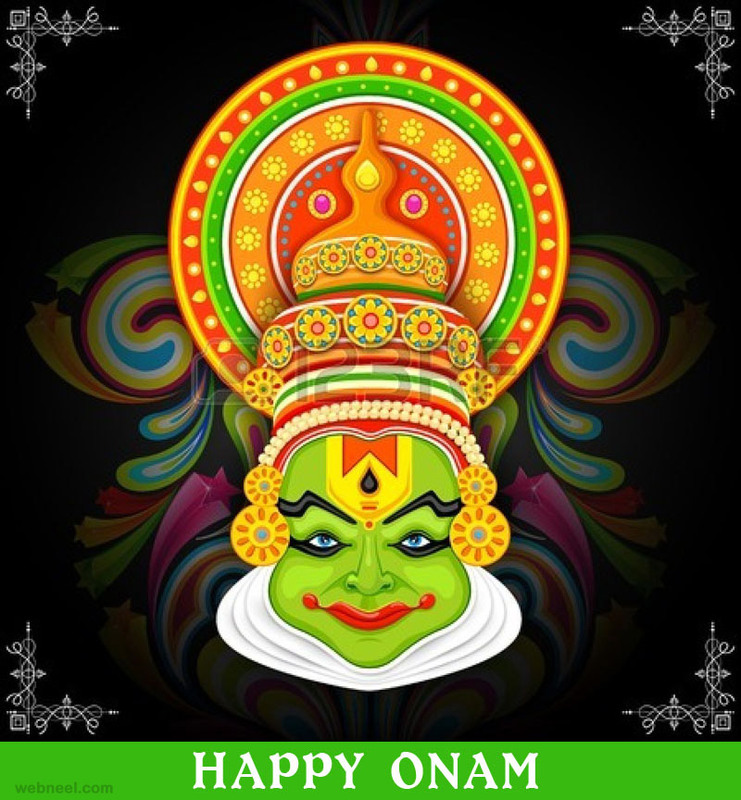 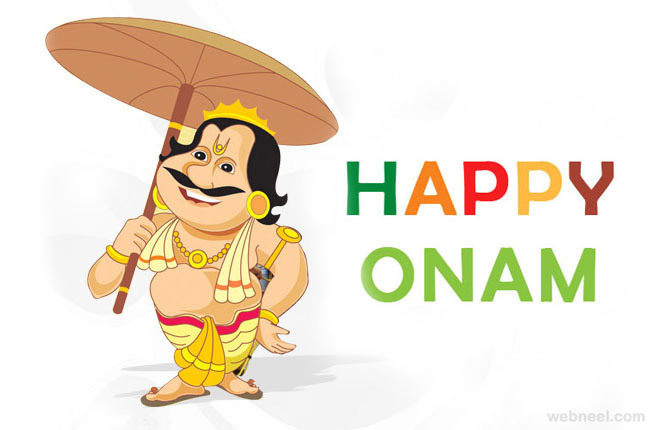 Here is collection of Happy onam greetings which can be shared with your friends. 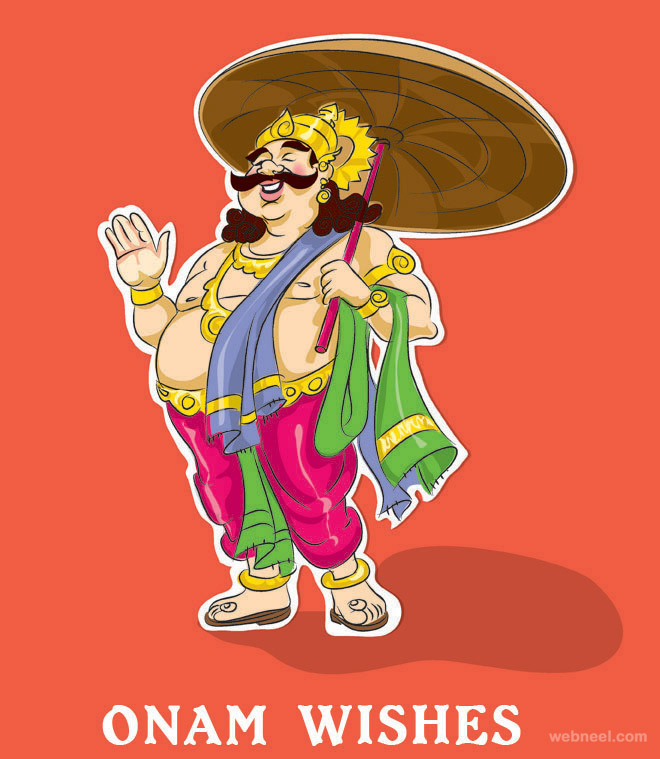 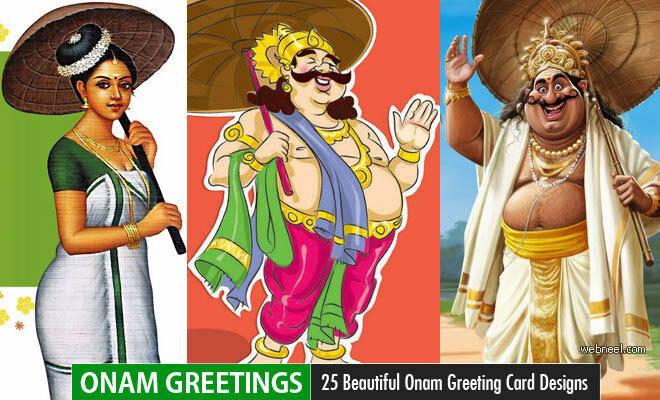 You can also create beautiful onam cards with these amazing onam greeting cards. 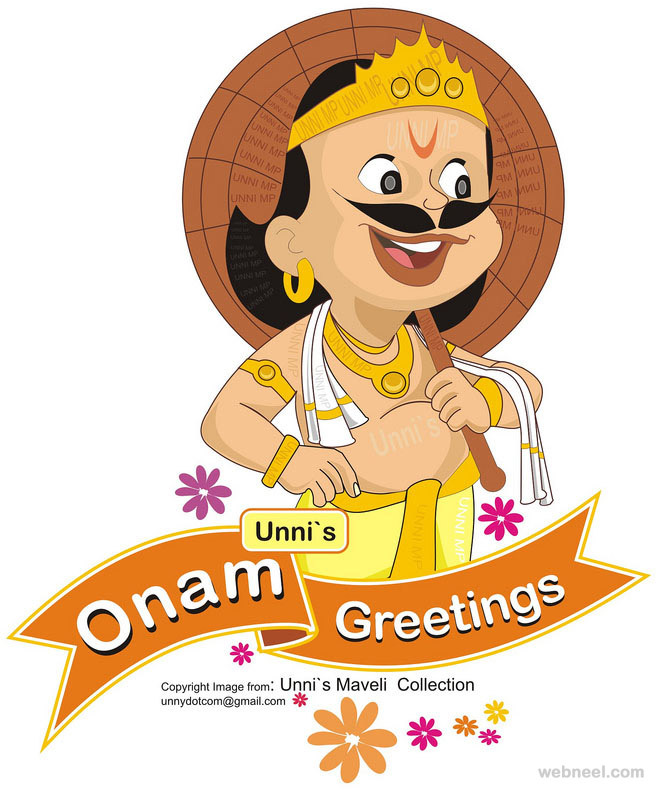 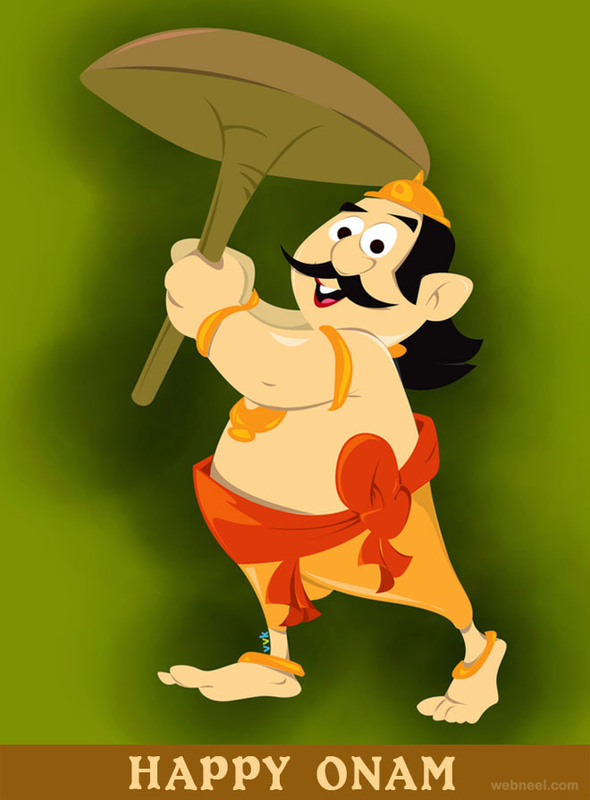 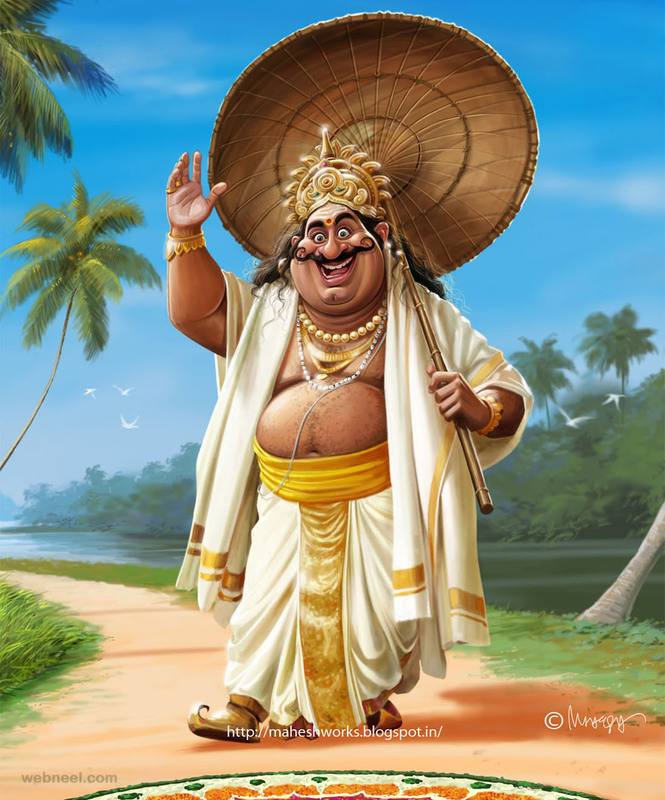 If you like our post of onam greetings and onam wishes, please share them with your friends. 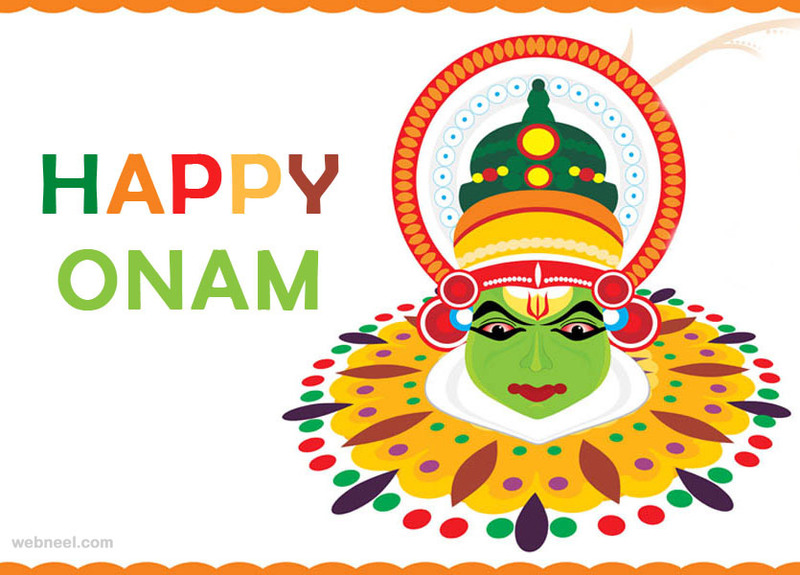 See 60 beautiful Onam Pookalam designs here.